Molasses and honey bring together a group of aromatic spices. A generous splash of Brandy adds an unforgettable fragrance to this cookie. I’ve always been enthusiastically open to so many worldly treats. During the Advent season, the city of Berlin transforms into a winter wonderland, with Christmas trees and twinkling lights as far as the eye can see. 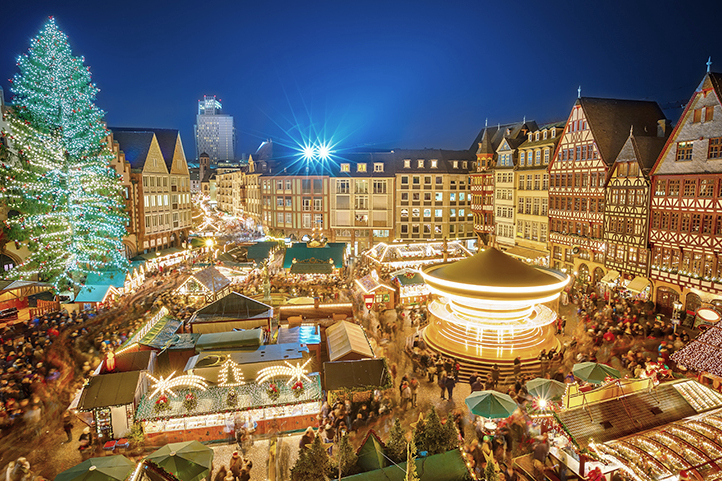 The city is considered the capital of German Christmas markets, featuring more than 60 markets, each with hundreds of vendors, and attracting more than two million visitors every year. 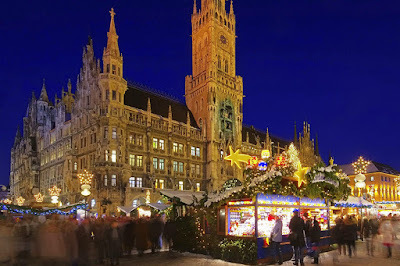 Christmas market last week unfortunately affected my holiday mood. In this day and age, like most of you, I could not believe these acts are still taking place. Germany got the brunt of this horrid and cowardly act. 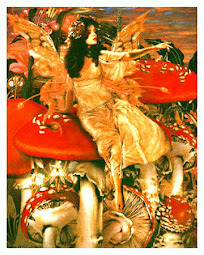 Magic fills the air in the cities, towns, and villages along the Rhine and Moselle Valleys in Bavaria, Germany. 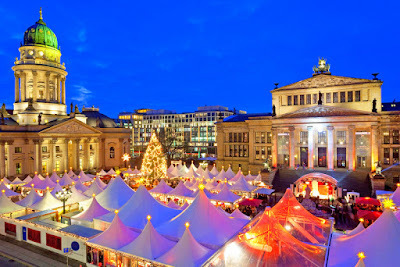 Throughout the four-week period of Advent, from the end of November to the third week of December, open-air stalls adorned with traditional Christmas decorations fill the town squares across the region and the world-renowned Christmas markets (Christkindlmärkte or Weihnachtsmärkte) open to the public. Each of the markets, set along a backdrop of medieval buildings and ornate cathedrals illuminated by thousands of twinkling lights, is unique to its location, but all abandon the commercialization of the holiday and highlight the true spirit of season. At the Christmas markets, some of which attract millions of people each year, visitors will find a wide assortment of high-quality, hand-crafted gifts and merchandise, including marionettes, intricate carvings, Christmas tree ornaments and other decorations, and wooden toys and figurines. As you walk from stall to stall, you may find it difficult to resist the tantalizing aromas of grilled sausages, spiced mulled wine, baked apples, and decadent German Lebkuchen (beautifully decorated gingerbread biscuits) permeating the air throughout the markets. Other popular attractions at the Christmas markets include the nativity scene, figures made of decorated dried plums, and displays of carved nutcrackers. REF. 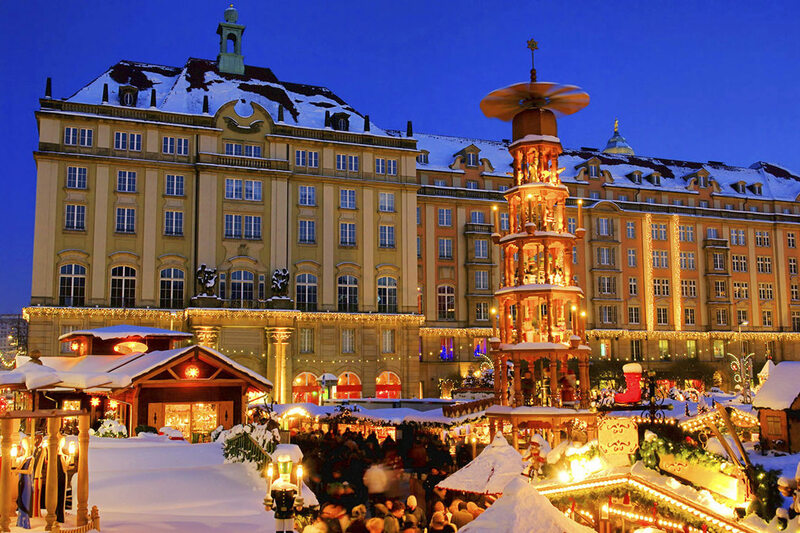 Here are a few of Germany’s other enchanting Christmas markets. Just visualizing these photos helps to perk up my dampened spirit...at least a little. Hopefully, one day you’ll have a chance to experience the magic these traditional markets attract. 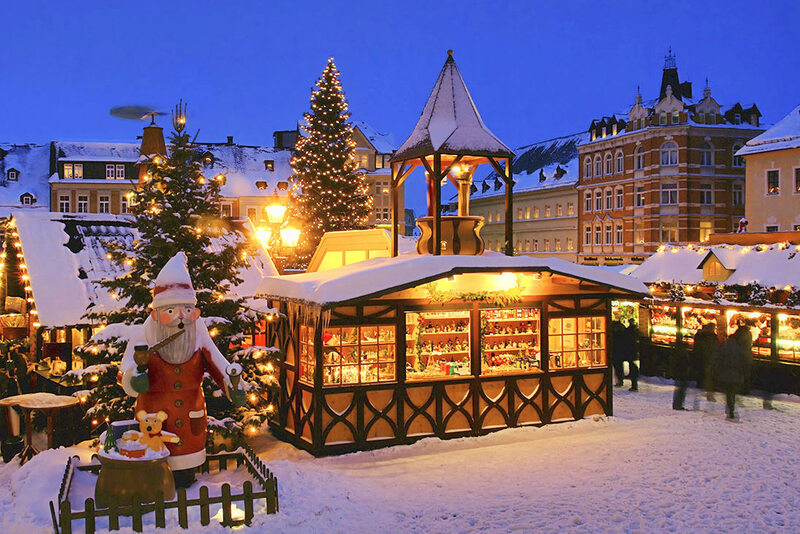 Visitors in search of a more intimate experience will love the Christmas market in Annaberg-Buchholz, one of the most authentic markets in the Ore Mountains. Highlights include the Christmas pyramid (a multi-tiered carousel that typically depicts a manger scene), the collection of locally-crafted figures, and the Grand Miners’ Parade. 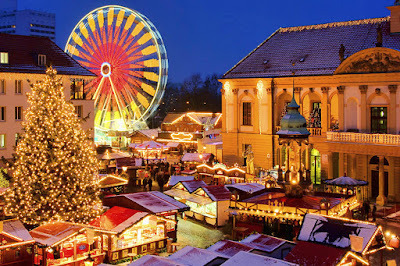 Called the Striezelmarkt, the largest Dresden Christmas Market is Germany’s oldest Christmas market and dates back to 1434. In addition to more than 230 stalls offering handicrafts, wooden ornaments, and traditional holiday food, the market also features the world’s tallest Christmas pyramid and the world’s biggest nutcracker. 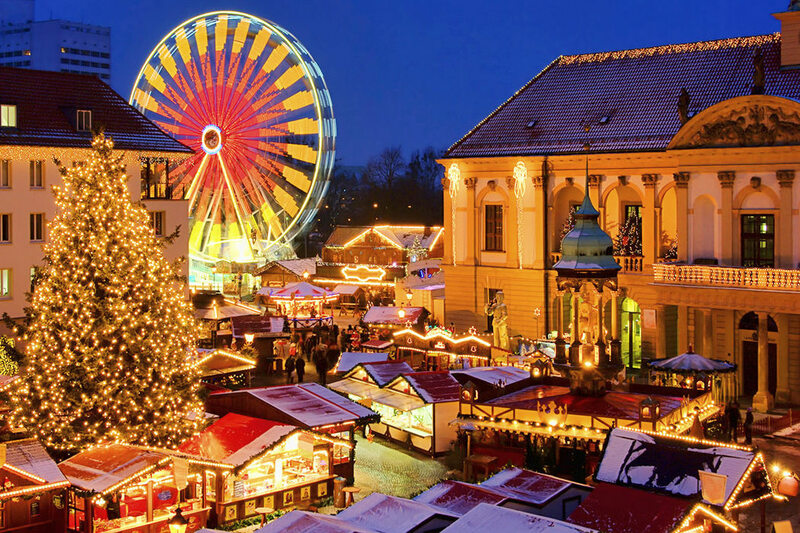 Although not as crowded as the markets in the larger cities, the Magdeburg Christmas Market still offers a quaint holiday charm against a beautiful historical backdrop. Visitors are drawn to the Christmas music, children’s fairs, and stalls selling seasonal decorations and delicious treats like roasted chestnuts and cotton candy. Whether at the large Christmas Market around Marienplatz, in the magical Christmas village in the Residenz or the medieval market on Wittelsbacherplatz - the Munich Christmas markets tempt you to stay a while and look around, offering mulled wine, culinary delicacies and traditional stands. and last year I was inspired to dedicate her this cookie. I set out to make a specialty cookie named 'Pfeffernusse' . spirit as I tried to perfect the word as well as the cookie. Belgium, Holland and Denmark also have their versions of this delicious spice molasses treat. The texture is perfectly crunchy on the outside with just the right amount of softness on the inside. This has quickly become one of my very favourite spice and molasses cookie. The dough is best made a day ahead. This recipe was based on the famously known 'pfeffernusse' cookie.
. 2 xLarge egg yolks, room temp. Three COATING options: small quantities of granular Turbinado sugar as well as confectioners' sugar …OR turn it into a CRACKLE COOKIE by fully coating the balls into confectioners' sugar. 1. In a medium bowl, combine ALL dry ingredients from Step-1 and SIFT together. Set it aside. 2. Step-2: In a large bowl, beat the butter, oil and the sugars by hand with a sturdy whisk. When creamy, add the egg yolks and lemon zest. Mix well. 3. Into the creamy mixture, add half of the flour mix. Now, add the liquor, molasses and honey. Mix well before adding the remaining flour. When fully incorporated, transfer the cookie dough into a medium container in order to keep it in the fridge for at least 6 hours or overnight is best. Cover with a plastic wrap.
. Pre-heat oven to 350F/180C/Gas4. Position the rack in the center of the oven. Prepare 2 large parchment lined baking pans. 4. With the aid of a mini 1 Tbsp. / ice-cream scoop #60, form 24 mounds by scooping, packing and levelling the dough before releasing it onto the baking pan. Place cookie dough about 1 inch (2.5cm) apart. OPTIONAL- Apply Coatings. * REPEAT with the next batch. 5. BAKE for 16 minutes. Remove from the oven and have the cookies completely cool on the pan.
. Store in a cookie tin for a week or freeze them within their parchment paper and into a freezer bag.
. Sprinkle some turbinado sugar on raw cookie dough before it goes into the oven.
. 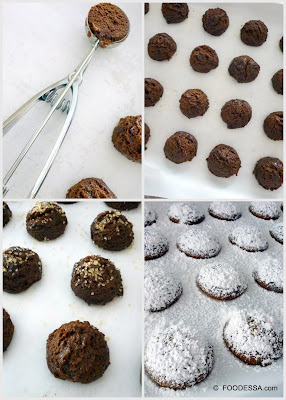 Generously sprinkle some confectioners' sugar ONLY when cookies have baked and cooled.
. CRACKLE COOKIE : fully coati the balls into confectioners' sugar. Bake for the same time. With the New Year approaching, I can only hope that our societies act more civilized towards each other. May all the very best bless your loved ones and may all your desired wishes come through. 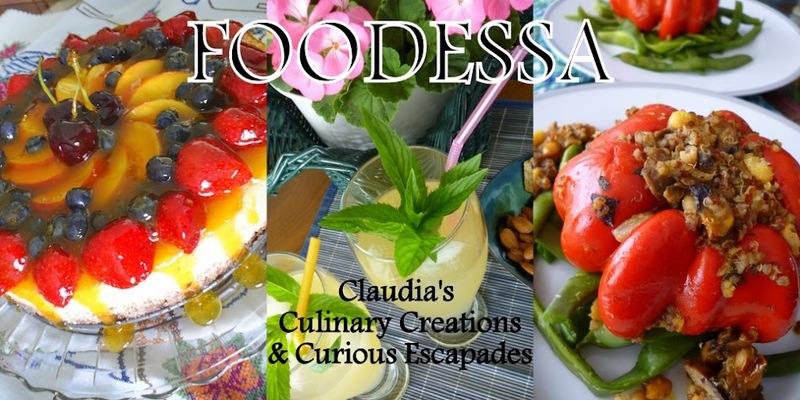 Eat well, drink reasonably and laugh till your hearts' content. ** The Christmas market photos and descriptions are courtesy of various Tourism boards in Germany.